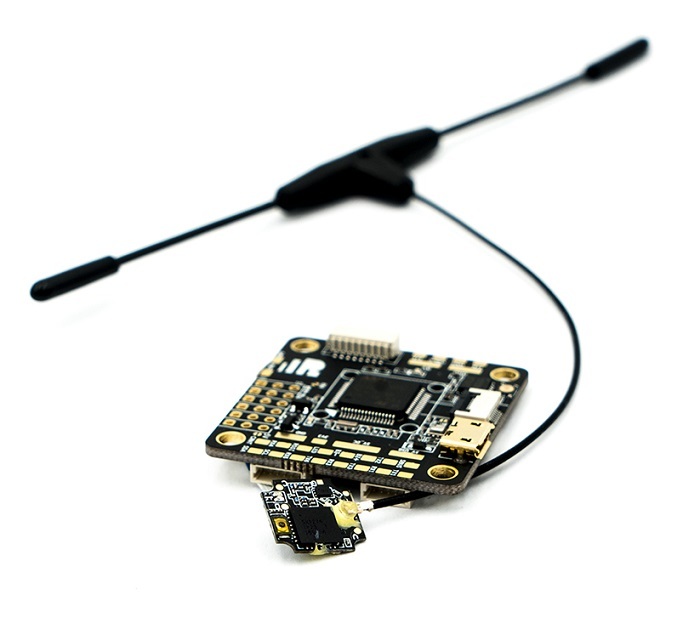 The FrSky 900MHz/868MHz R9 MM-FC (OMNIBUS F4 V6) uses the MPU6000 over SPI to produce stable flight performance. Integrated with the R9 MM receiver mounted on-board in a protection box. 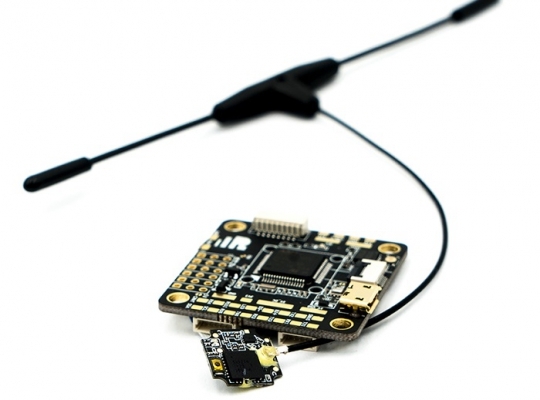 It also features a barometer and AB7456 OSD chip for the Betaflight integrated OSD.